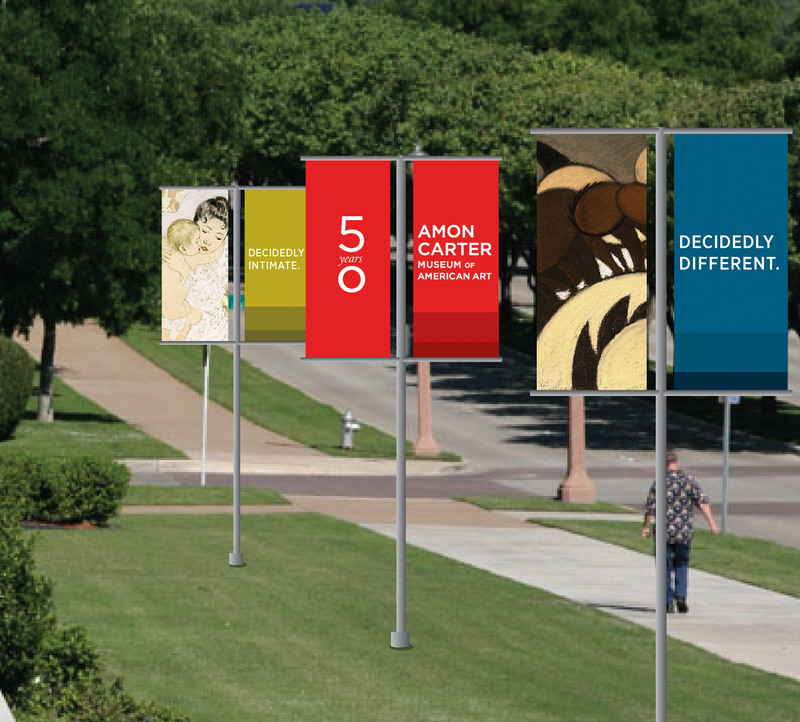 In anticipation of its 50th anniversary, the Amon Carter Museum in Fort Worth’s Culture District was ready to embark on a bold campaign that would clarify its vision and value to all audiences and expand its reputation as a premier museum of American art. 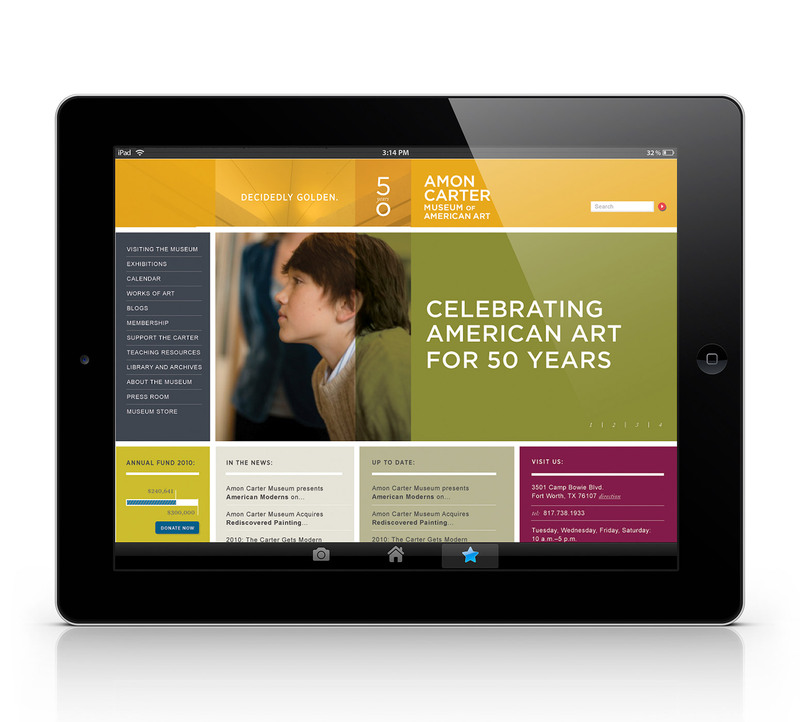 To accomplish this goal, the Museum hired Minelli to create a strategic communications platform and new visual identity for the cultural institution. Beyond a reenergized brand, this initiative would form the basis for the implementation of a significant public awareness campaign that reflects the unique experience promised by the Museum and inspires audience engagement. The Carter’s new look includes a distinctive new logotype, a lush color palette and a lock-up for the 50th anniversary tagline. In an effort to more accurately build audience expectations, Minelli also recommended that the organization change its name to the Amon Carter Museum of American Art.